We are three hundred plus souls from many lands and cultures who come together in the middle of Los Angeles in a century-old parish that thrives as it prays, sings, works, serves, and plays together. We are also a flourishing K-6 elementary school, a preschool, a soup kitchen and food pantry, prayer groups, a multi-year Education for Ministry group, book groups, men’s and women’s groups, and much more. We invite you to use this web site to explore some of the things we are currently doing and to enrich our lives by joining us. This Sunday, during the 10:30 service, with Lori Jaroslow as our Director, our children will offer a dramatic presentation and create costumes based on the lives of the Saints in advance of the Feast of All Saints on November 6th. This is a traditional language service with a sermon, organ music and hymns. 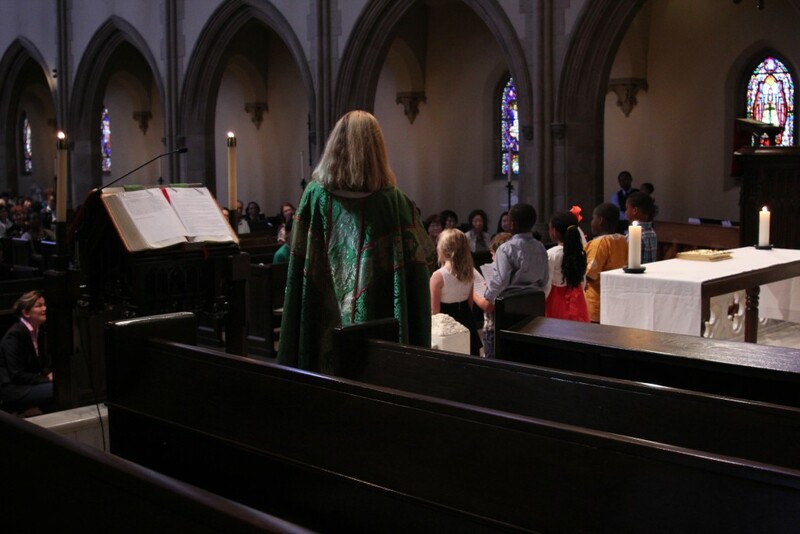 This service is offered in a rich panoply of ancient and contemporary language, ritual and song. 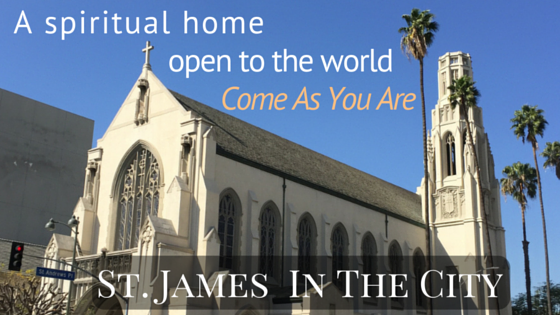 The Choir of St. James’ offers music from Gregorian Chant and Renaissance polyphony to traditional Anglican Cathedral music and anthems written by today’s most celebrated living composers. The Sermon, rooted in biblical scholarship, addresses relevant issues for day-to-day living.